Can All Hair Textures Be Silk Pressed? This client has a head full of hair! She came in to get a silk press which lead me to bring up the question that I got asked one day. 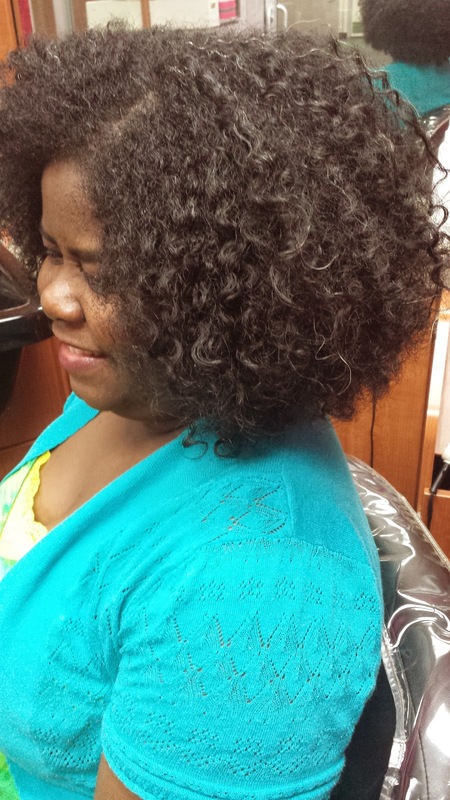 Someone asked me could I silk press all textures of hair including hair that is coarse and/or thick. This client is proof that it can be done. This is the picture of her hair from when she first came in. 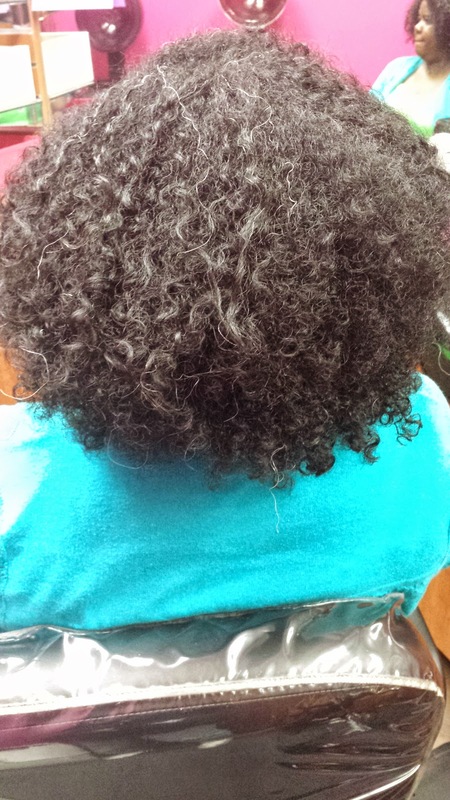 She does wash and go's to get this look but today she wanted it straight. 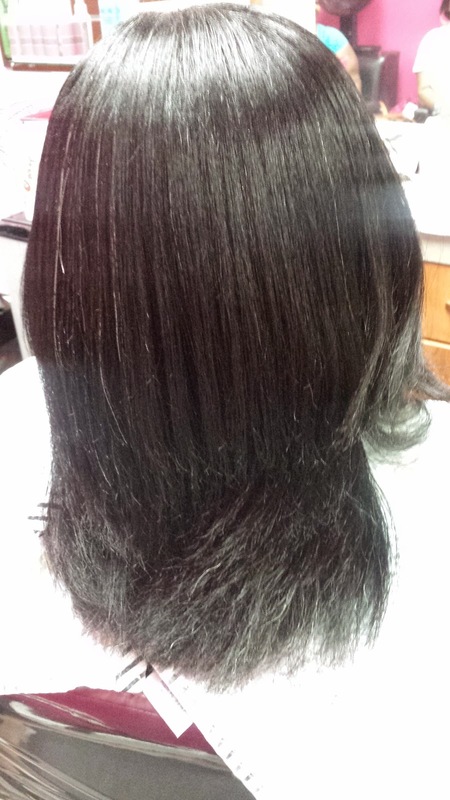 This was the final result of her silk press. If you did not know she was natural, you would think that she has relaxed hair. We also did a trim because it had been a long time since her last one. So to answer that question, the answer is yes, all hair types and textures can be silk pressed as long as the hair is natural. 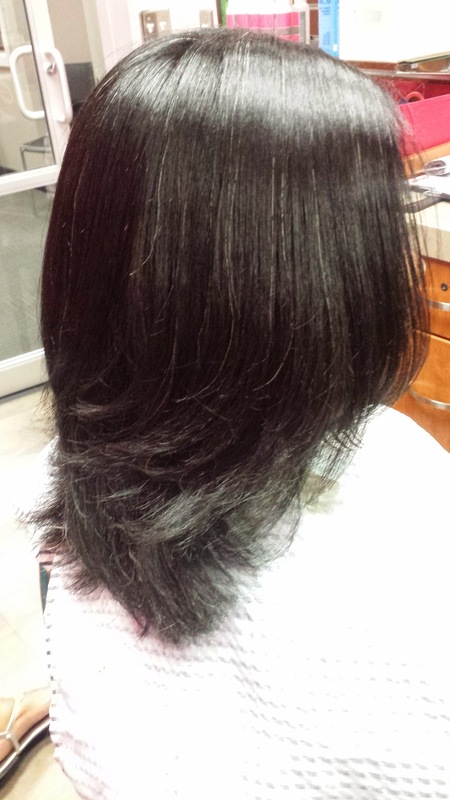 Relaxed hair does not get silk pressed because relaxed hair is already straight. 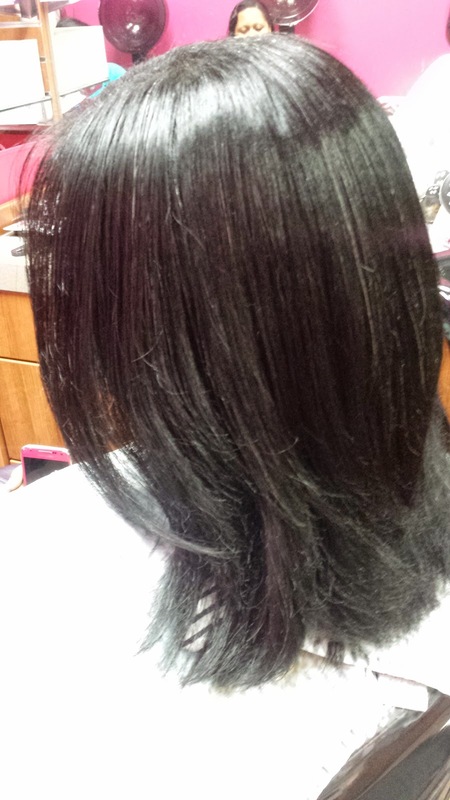 The whole point of a silk press is to make natural hair look like it has a relaxer. Relaxed hair will just get flat ironed to get this look. This silk press will last until she shampoos it again. At that point her hair will return to its natural state. To maintain this she will wrap it every night. No extra heat is required.